VBA macro password breaker is a saviour application that unlocks encrypted VBA files and cracks password of any length from VBA project files. 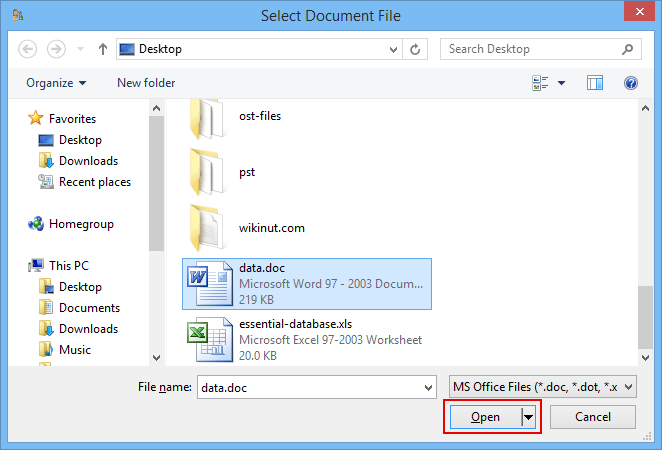 Removes password from all files of MS Office like Excel, Word, PowerPoint, etc. It is essential to safeguard data with passwords considering the security issues. However, at times these passwords are so difficult to hack into that the users fail to access their own data and get completely pissed-off, especially in macros. Hence, to regain access to files and to reset VBA macro password, VBA project password remover comes into the picture. The software is efficient enough to crack VBA Excel password of any length with its hi-tech technology and in a smooth manner. Passwords with multiple and rare combinations, very long passwords, and other types of complex passwords are removed with the help of this outstanding tool. This tool to bypass VBA password from encrypted VBA project files successfully hacks into the lost as well as forgotten passwords without much effort. For example, if a user wants access to Word Macro file who’s password is unknown then, you can blindly trust this software. 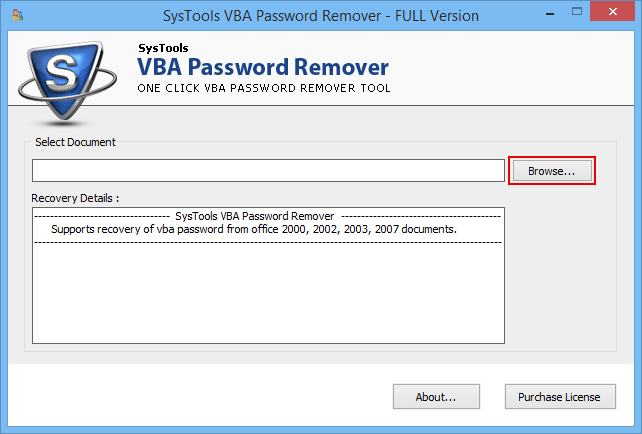 VBA password remover tool takes the initiative to replace old lost or forgotten passwords with a new password. Thus, the application is an all round package that generates new password automatically along with recovering old VBA macro project files password. Even very long source code passwords including symbols, alpha-numeric characters, alphabets, numbers, special characters, etc. of VBA files in multiple languages is successfully cracked by this VBA password unlocker tool. No matter what type and how complex the password be, the tool has a solution for all. The tool shows total details of breaking VBA Excel password in recovery details section, after the tool is finished with scanning and complete removal process of VBA password. These details comprise of the entire procedure and an option to reset VBA password to obtain a totally new password. VBA password cracker is a tool that is fully efficient in unlocking passwords from source code of any files of MS Office including .doc, .xla, .xls, .ppt, etc. 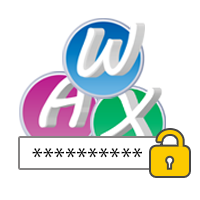 This software can very smoothly reset the old password so that user can create a new one. It is a unique tool for breaking passwords of any file format. The software comes as a trial version which can be downloaded free of cost for previewing the software capabilities at a go. Meanwhile, you are permitted to unlock VBA password from your respective VBA project root age codification but will be shown only the first 2 figures of the new security password as aspect of the demo restriction. Purchase the software license according to your need, you can completely own the software and it's functionalities without any restrictions. You can reset VBA project password with a new one formed by this advanced utility without facing any limitations. Will this VBA password remover software pose any compatibility issues with Windows 8 OS? No, it is a Windows software, made for all Windows Operating system including Windows 8 and older verions. Will the tool work on single or multiple files at one time? In this software, you can add only one file at a time to bypass VBA macro password. But password can be cracked from various VBA code file. Does the tool possess a feature to break VBA password from a corrupt Excel file? No, the tool will not break password of a corrupt file. I was hopelessly trying all fixes to remove VBA password from my files but all in vain. I was not getting a solution to this problem. Then, this Excel VBA password breaker application came to my rescue. I bought the licensed version of this tool and executed the task of setting new password by replacing the old one. And I must say it performed all the tasks in just a few minutes. I was amazed by its excellent performance. The best thing I liked about this tool is that it has such a simple and easy-to-use interface that even a non-technical user like me did it myself, without any external help. Now, I have access to my file. Thanks a lot to the team! I had lost all the hopes after my VBA project password got lost, I was not able to access the file in any way. I urgently needed the file in three days. I searched for a solution to open password protected VBA code but did not find anything relevant. Then, I came across reviews of this tool and found them really good. I immediately downloaded it to crack VBA Word password. All the mess cleared in no time. This tool is absolutely outstanding at its job. Thanks to the team for launching such a trouble free and efficient application! I cannot express the relief I have got, after using this VBA password recovery tool. I was terribly stuck at unlocking VBA password protected files as I accidentally deleted the word file where I had maintained all my passwords. After the file got lost, I lost access to VBA files then, someone told me about this tool and it totally worked for me. I cannot thank you enough for this superb innovation of the team. I was so worried as my important files were not getting opened. The reason being, that I had forgotten the password of my VBA project files. I tried many ways to retrieve Excel VBA password but I was not able to get through. Then, thankfully I came across this utility and it took no time to unlock the files. 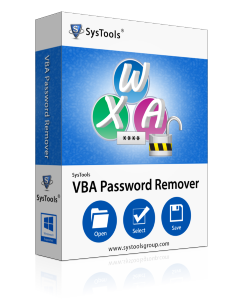 Easy, effective, and versatile are the words for this VBA Password remover tool. My Excel VBA project had source code protected so that unauthorized access or modification weren't made. But unfortunately losing the password turned the tables around and put me in trouble. Thankfully I had VBA password unlocker to my rescue!